An educational institution has a profound role to play in building of a nation, a society and an individual and it is the job of expertise and care when the recipients of that education are stated to perform role of high responsibility, as in cases of a professional institution like IAT Professional campus. IAT has served students as a guide in professional career Since 2005. We here in IAT value our students right from the beginning where we check a students potential and the level of input required for his/her success and we groom them accordingly by providing the right individual coaching. IAT strives to provide students the best infrastructure, academic accomplishment and exposure that would sharpen skill and shape them in to world class professionals. Faculties and management team are always very proactive to provide the students the best academic atmosphere fulfilling their dreams. Our focus is on the ultimate success of our students through complete and well focused examination preparation. Join IAT and accomplish your dreams into reality. Kochi is fast becoming the melting pot for professional education of different nature in Kerala, primarily CA education. This opens whole new vistas of opportunities for young CA aspirants as this brings them closer to learning the craft from some of the best minds in the industry. IAT has served as a guiding light for students eyeing professional careers since 2005. 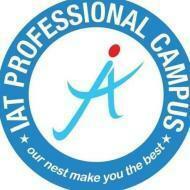 Iat Professional Campus conducts classes in CA Coaching. It is located in Ernakulam, Kochi. It takes Regular Classes- at the Institute.